Andrew "Andy" Nimmo, passed away peacefully on Saturday, June 30, 2018 at Alden Valley Ridge in Bloomingdale after a valiant battle with Alzheimer’s. His devotion to his family and his firm belief in God supported him in his struggle and ultimately gave him peace. 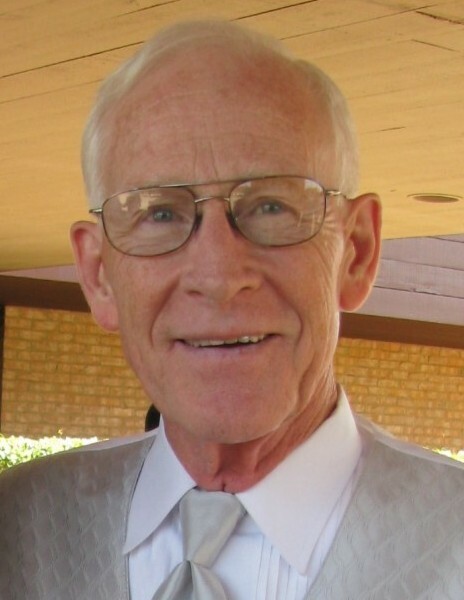 He was born on February 25, 1940 in Central Africa to missionary parents, William and Elizabeth Nimmo. He completed his undergraduate degree from Wheaton College and his masters from Ohio State University “Go Buckeyes!” and went on to have several different careers including newscasting, teaching and sales. Andy was blessed with a large and loving family. He married Barbara Evans on September 14, 1973. He helped raise his six daughters with patience, discipline and humility. He taught them to have "moxie" during life's challenges, to stand up for the discriminated and to help the less fortunate. Andy loved being a Grandpa, from organizing family games & outings to teaching the skill of the free throw or how to ride a bike. He will be dearly missed by his loved ones, who celebrate the fact that he is at peace with his creator. He was a member of St. Andrew Lutheran Church in West Chicago. Andy is survived by his wife of 44 years, Barbara; his six children, Kelli (Steve) Van Doren, Columbia, MO; Megan (Andy) Hampton, DeKalb, IL; Tammy (Robert) Cruz, Bartlett, IL; Christina (Jason) Gussman, Yorkville, IL; Kathie (Damien) Lynch, West Chicago, IL and Colleen (Ryan) Ignacio, Bartlett, IL. ; 20 grandchildren, Katie (Justin) Chae, Annemarie, Claire and Isaac Van Doren, Jackson and Kendall Hampton, Amanda (John) Hermansen, Mario, Alex and Jordan Coix, Joshua and Isaiah Cruz, Carly and Lainey Gussman, Faith Cline, Aedan, Cael and Maeve Lynch, Connor and Kieran Ignacio; a sister, Patricia (Cal) Doty of Ga. and a brother, Tim Nimmo of SC; and seven great grandchildren. He was preceded in death by his parents, and his brother, Ridley Nimmo.